I started with this company when it was 2 yr old. Now 26 yr later I have sadly left this company. Service was always good and they are very careful and use Fiesta product. Excellent customer service especially in the early years until they expanded and left their Thornhill offices for Concord. That is when it got a bit more expensive but still manageable. However in the last year pricing was a bit high. This year the cost is way over what a retiree can afford. If you can afford it then stay with Lawn Savers. But if your income is such that you are pinched, then start searching. There are companies that use fiesta product and also give great service but for top protector service at basic Lawn Savers Prices. Keep searching for a service that fits your pocket book especially for people on a limited budget. Hi Donna, I tried to reach you and left a message. We will certainly make sure you are taken care of. We genuinely appreciate your business all these years. 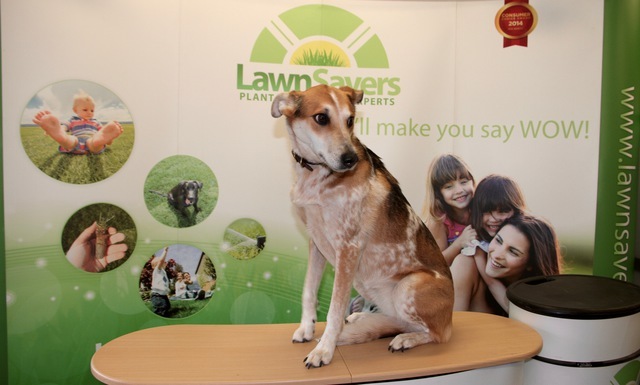 While other companies are paring down their offerings to bare bones, LawnSavers has been improving our services year after year with new technologies to improve results and build a more sustainable lawn that can withstand all the environmental challenges year after year. Yes, there have been increases in product costs and certainly increased labour costs for businesses in the recent couple of years in Ontario, however we have also worked hard to increase efficiencies to keep costs low. In fact, we have only had 2 small price increases in the last 7 years which were much less than inflation. We need to be able to pay fair wages to ensure we hire great service people! My friends and I compared a few lawn care companies before picking Lawnsavers last year. We made the choice based on its high review rate. We thought we made a right decision, but we were very very very wrong. We (4 households) purchased packages upfront and they were supposed to complete 7 visits in the season. They did not show up for the first service until late in the spring, after we complained more than once. They put the blame on the cold weather. We had to call almost each time for follow-up services and even so, when snow started falling in October, we all had 2 visits not completed! So we had to request for a refund. The high review rate is misleading. Lawnsavers does not deserve this rate. The biggest problem is with their service. Problems me and my friends have experienced included: did not show up on service dates; instead of providing service my friend’s lawn, they provided service to a neighbour’s lawn which was across the street; they did overseeding in my backyard, but did not do for my front yard… I made numerous calls to complain but we did not see any improvements. Overall, I do not recommend Lawnsavers at all. I'm sorry you were unhappy, but we can only do so much and require willing and patient partners to make it work and get results. Yes, last year was a tough year on lawns and logistics, with crazy weather (ice followed by intense heat/drought). We keep good notes and take pictures to measure progress. For example, I personally visited your property on June 19th to discuss your lawn. It was 12" long with a hard rake buried and not visible under the thick matted down grass. Its supposed to be mowed every week at 3". You told me it was one weeks growth, and then admitted you only mowed 3x all season (should have been at least 9x by then). No lawn care company can help someone get results who doesn't want to do their part. This carried on all season. I really want our lawn customers to be happy, that's how we have successfully grown for 29 years and won so many awards and our ratings. We can definitely make mistakes but we awill always be accountable for our work and will fix any mistake we make. But our customers must be fair partners. 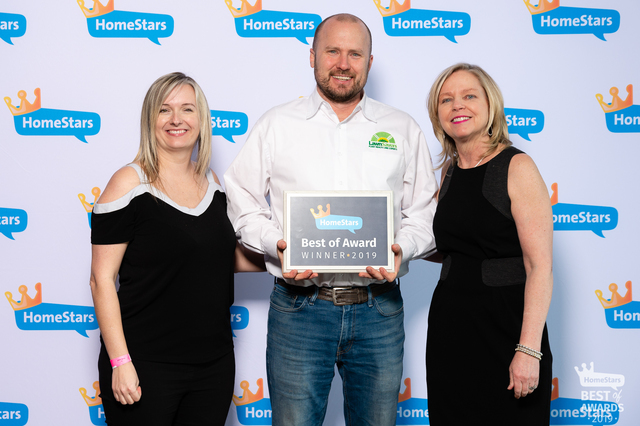 My friends and I researched lawn care companies last year and picked Lawnsavers as it had a higher rating on HomeStars. In summary, we made the wrong choice. Lawnsavers did not live up to my expectations nor did they complete their services for the season. They had poor communications about when they were coming to perform services (which improved after I told them their communications were terrible). I always felt like I was wondering when they were coming next. I have a locked gate for my backyard so it was really important that I knew when they were coming so I could unlock it. On one occasion, the person did not show up. On another day, they came unannounced and hopped my fence (which is dangerous!). They did not complete all their visits for the season (because they ran out of time/snow was falling) and I called and got a refund for the outstanding visits. I also ensured they will NOT auto-renew me for this coming year because I read somewhere that they auto-renew. I'll give them one positive remark - the lawn does look better than before but the service was not good. My friends had similar issues and were not impressed either. Hi There, I'm very sorry you had this experience with my company. We pride ourselves on our 28 years of providing professional award winning service, and using the best products and methods available to get you the greenest lawn and healthiest results that you are looking for. We will never charge our customers for a service that won't work or is past its ideal window, and if you prepaid, your balance would remain as a credit for you or be refunded. We do have a written satisfaction guarantee that provides these details so that our customers have the peace of mind and confidence to do business with us. In our agreement, we also not that weather can and will affect application timing and products used. This season had a great deal of 'less than ideal' weather that can cause certain organic applications to be postponed in order to ensure that when they are performed they provide the value expected (ice storms through April followed by excessive Heat and Drought through most of the summer). Although we tried to communicate those concerns through our emails and voice messages with our clients, we understand you are busy, and our courtesy email and call ahead messages the day before service, aren't always reviewed in time by all. But none of that helps to explain the other circumstances you mentioned which is definitely not the type of service we are known for and pride ourselves with, nor has earned us the numerous positive reviews that you have read, and I sincerely apologize if that happened. Thank you for your feedback, as it is the only way we can learn to improve our service. Please email me personally at greatservice@lawnsavers.com or call me at 905-707-9994 ext 311 so I can know who this is and try to make it up to you. Very punctual and friendly service. Always willing to explain and answer questions. Would highly recommend the service. Thanks for your great feedback. We value the partnership we have with our clients and believe that education on the correct ways that you can help to get the best results is critical to our mutual success. We sincerely appreciate your recognition of the hard work that goes into it! I’m extremely satisfied with the service and attention provided by Kyle and his team. I’ve used this company for several years and they are knowledgeable, courteous, and professional in all aspects. I highly recommend them! Lawnsavers provided a great service in 2017 but not in 2018. I had several arguments regarding re-applying their weed control as very little weeds were affected. Sadly, because of the weather they were not able to render all services but I don't recall being informed. I am dealing with Dmitri who, several weeks ago, said they mailed me a cheque with the difference. No cheque yet. Hi Mr. Rea, I'm sorry we were unable to satisfy you. Yes indeed this was a very short summer with the ice storm in April and a very difficult (record breaking hot and dry summer) environment to treat lawns with the heat sensitive organic weed control available. We WILL NOT treat lawns with visits that will harm a lawn (just to try and get an invoice out), and we make adjustments to our program based on weather to help them recover. This information is in your service agreement so that it is always upfront. We do make every effort to communicate this to our customers throughout the year with the many emails sent (9 sent to you) and phone messages. We try our hardest to outline those efforts as quickly as we can. Your refund was processed back onto your original method of payment and we verified that your credit card company accepted it- Unfortunately we cant speak to them on your behalf. Purchased a Renovation Service earlier this year after being recommended it by their Customer Service Team. The representative was extremely knowledgeable and gave me all the information on their process before I decided to go ahead with it. Boy, am I glad I took their advice! They had mentioned it could take up to 2 years to see my lawn looking good, but just after 5-6 months of hiring them (and also tediously following their care instructions), I've never seen my lawn so green and lush! Thank you so much for outlining the results you achieved by partnering with our service. We're thrilled to know you were able to get the results you wanted, earlier than expected. Clearly a result of you following our advice on proper care. Thanks again for the great feedback, and we look forward to continuing improving and building the health of your lawn and soil. After nearly twenty years with LawnSavers, I was extremely disappointed with the service in 2018. I requested a treatment for bugs by email, and received no response. I followed up by phone and received a promise to have someone out within the next couple of weeks to have it completed. I was told I was lucky, as without the treatment the bugs would return next year. No one came. I phone again. I received a 'sincere' apology, and received a second commitment to get it done before the cold came, in recognition of my long service with LawnSavers. No one came. I followed up again but was told it was too late in the year and they couldn't do it. No explanation for why it was promised but not completed. I was offered a 25% discount for the application next year. Of course the bugs will still come back and ruin the lawn though because the application wasn't completed in 2018. The treatment will really only be for helping in late summer and 2020. In other words, once it gets hot in May and June the bugs are likely to return and my lawn will, again, be ruined. No offer on the cost of repairing my lawn then. As you can imagine, I was not pleased. I tried three times to phone Kyle but he never once returned my call or sent an email. Imagine how I felt when I got an email asking to rate their service. LawnSavers is always there to explain what is going on with my lawn! Great customer service from the teams in and outside the office! Look forward to the new year! Thank you for the kind words and being am excellent partner with us. We appreciate your ongoing loyalty and will keep working hard to help. Since 1989, LawnSavers has focused on providing innovative & proven solutions in organic Lawn Care & Tree Health Care. Our Fertilization, Weed and Insect Pest Control Solutions are top notch. Naturally, this allows us to provide environmentally sustainable, and healthy lawns & trees for a greener environment! We are a small family-owned local Canadian company that's BIG ON SERVICE! We value old fashioned great service, communication and partnership with our customers. We've developed a reputation of excellence through partnering with our clients. Ingrained in our culture, is that we always focus on great service, integrity, honesty and real value. We provide Natural & Organic Lawn care programs that include (better than golf course) fertilizer, Fiesta for Weed Control, Natural Insect & Pest Management. We are also are a leader in Professional Christmas Lighting and Holiday Decorations! Call us at 905-707-9994 416-707-9994 or 1-888-503-LAWN(5296) or visit https://lawnsavers.com to learn more and get a fast estimate customized for your property. Our risk-free Guarantee ensures you get the best program for the best price too ensure the best results. We are your lawn care partners. Note: WE DO NOT PROVIDE Lawn Cutting, Mowing, Gardening service or Snow Removal. Fair, Open, Upfront & Honest. Service that will Make you say WOW! Green & Healthy Lawn Care, Weed Control, Custom Lawn Fertilization, Slit Seeding, Core Aerating, Organic Compost, Lawn Restoration & Renovation, Pest Control, Great Service, Professional Christmas Lights and Decorations! (NO Lawn Mowing or Gardening). Please Note: Service continues on an annual basis automatically, Please advise if you do NOT wish service to continue without contacting you first. Pricing based on actual lawn area, or # and size of trees & shrubs. Not total lot/property size. 100% Satisfaction Guarantee Simply Put: We won't rest until you're happy!